Debt.com » What is Predatory Lending? Learn how to avoid predatory loans and what to do if you’re a victim. There are times in life when you might need a loan: buying a car, buying a house, even going to college. You might even need to take out a loan to pay down some other big debts that are carrying high interest rates. While many of these loans come from legitimate lenders who practice proper lending practices, there are companies who seek out those whose credit may not be the best shape. They take advantage of these consumers by creating unrealistic payoff terms, high interest rates, and fees. These predatory lenders use misleading promises and other tactics to get a borrower to sign on a loan that is often set up for failure. Predatory lending takes advantage of individuals who have difficulty with their credit by creating a loan that is difficult to pay down. The most common kind of predatory lending targets low-income individuals who often have a hard time making ends meet. It’s known as a payday loan, because you are supposed to pay back the money you borrow by your next payday. It is usually a smaller amount of money that can be used to pay off necessary bills or emergency expenses. But it comes with a huge interest rate. When the CFPB first began investigating these lenders, some charged as much as 950 percent interest on a loan. To put that in perspective, even a credit card with a high interest rate wouldn’t charge more than 30 percent or so in interest. Predatory lenders tend to prey on low-income individuals needing financial help. However, they don’t discriminate. You can also be a target if you are new to credit, have bad credit or even need help paying for college costs. When someone needs to take out a loan, a bank or other lender will run a credit check to see not only what their credit score is, but also their overall credit history. Those whose scores fall below 640, considered the lower end of the credit spectrum, are considered subprime borrowers. Subprime borrowers are riskier for lenders to make loans to, so interest rates are often higher. Terms of a subprime loan can also be stricter. Prior to the 2007 financial crisis, many lenders were making subprime mortgages possible for individuals looking to buy a home, even if they couldn’t afford it. Predatory mortgages, which were often adjustable-rate loans with super-high interest rates, were created by unscrupulous lenders to sell homes to “everyone.” These loans were made with very low interest rates at first, only to balloon the following year or few years after the mortgage was signed to staggeringly high payments that the owners couldn’t afford to pay. As a result, many individuals wound up in foreclosure or losing their homes because they couldn’t afford to make the payments necessary to live there. These loans, and the bad banking tactics attached to them were a big cause of the financial crisis and subsequent recession that followed. 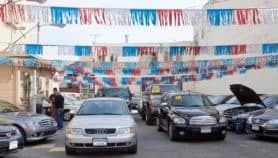 Although predatory lending loopholes have been closed in the mortgage industry, many of these subprime lenders have moved on to the auto industry. It’s one of the reasons our founder Howard Dvorkin believes that auto loans may be the next lending bubble to burst. Another target for predatory lenders are students, especially those attending two-year, for-profit institutions. Predatory lenders in these cases weren’t just banks — oftentimes it was the schools themselves forcing students to take out loans. These loans came with terms that made it almost impossible to keep them out of default during repayment. In some cases, the schools weren’t even accredited, meaning any classes taken there would not transfer to a traditional college. If you have loans that aren’t working for you, we can help. Talk to a resolution specialist to identify the best solutions for your needs. What is considered predatory lending? As the country worked to rebuild following the recession, the government created an agency called the Consumer Financial Protection Bureau. The CFPB provides consumers with a place to report lenders and banks who don’t follow ethical lending practices. These became known as predatory lenders. They would do everything from trick people into signing bad loans to threatening them if they didn’t pay. Offering / using unfair or abusive loan terms. Predatory lenders will often abuse their position, knowing the people needing loans are in dire straits. Some unfair loan terms include unnecessary fees, extremely high interest rates, unrealistic pay-off schedules or even convincing borrowers they need specialized insurance with their loan. Forcing unfair terms through deception or coercion. Lenders might say things that can confuse borrowers or make them agree to terms they may not understand. They can trick them into signing something they shouldn’t or agreeing to something that is impossible to repay. Individuals can file complaints with the Consumer Financial Protection Bureau if they think they may have been the victim of a predatory loan. The CFPB has filed lawsuits against countless lending agencies who have tricked millions of consumers with predatory lending practices. It can be scary when you wind up on the hook for a predatory loan. It can be even scarier when you find out how hard it can be to get out of one. However, you do have some possible options that can help you. If the loan in question is a mortgage, you have the Truth in Lending Act, or TILA, on your side. When you buy a home, you are given what is called a Right of Rescission, which gives you three days to turn down the loan in the event you do not want the house. If you realize after signing the paperwork that you signed onto a predatory loan, you can enact your Right of Rescission and relinquish the loan. There are times that predatory lenders will either neglect to give their borrowers this paperwork or it will contain errors. If the lender doesn’t give you a Notice of Rescission or if it’s incorrect, you have three years to enact the Right of Rescission. That gives you more time to walk away from the loan. You may even be able to sue the lender if you chose to go down that path. Another option is to refinance the loan into one that has more favorable terms, with another lender. This works for any type of loan that’s predatory, not just mortgages. This can be difficult if your credit isn’t the best, but it’s worth trying. You could also explore taking out a personal loan from a bank and using it to consolidate the debt. However, this option requires you to find a reputable lender that’s willing to work with someone with bad credit. You can also try to settle the debt, either on your own or through a reputable debt settlement company. The creation of the CFPB has curbed predatory lending, at least to some extent. However, should still be a concern anytime you apply for a loan. As long as there are people in desperate need of loans, there will always be a risk of predatory lending. Debt.com can help you find solutions to get out of predatory loans, from settlement to refinancing. Review your options with a resolution specialist today.